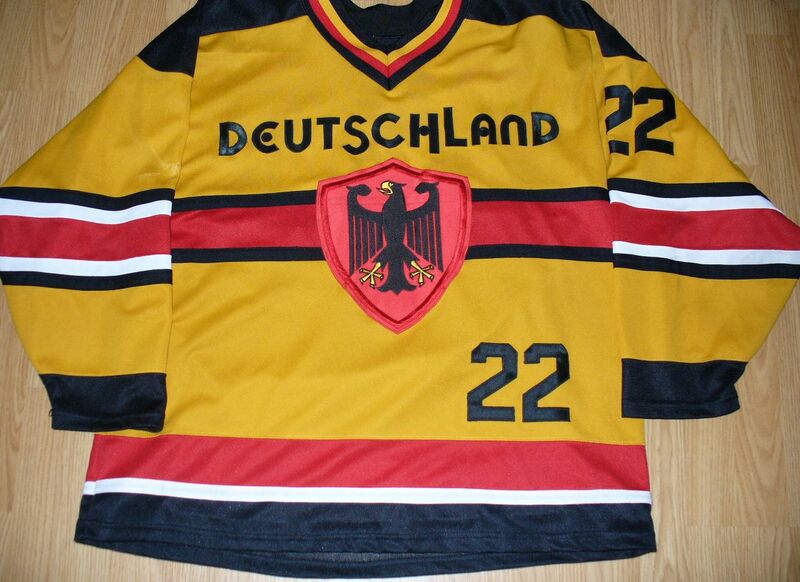 Took some pics today of my 3rd Germany jersey. Couldn't find any previous photos on my computer or on Facebook. Thought I had a pic or two; maybe I had them on Webshots (lost any photos I had only on there - forgot to download because the company changed). Got this jersey off Ebay. 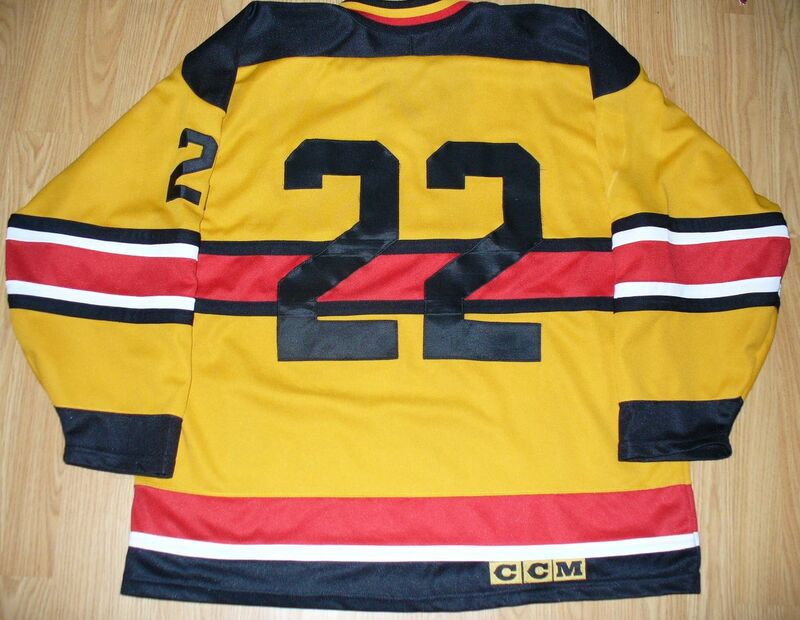 It's a 'movie worn' jersey from the second Mighty Ducks movie. 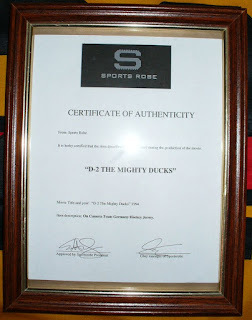 Got a COA with the jersey. 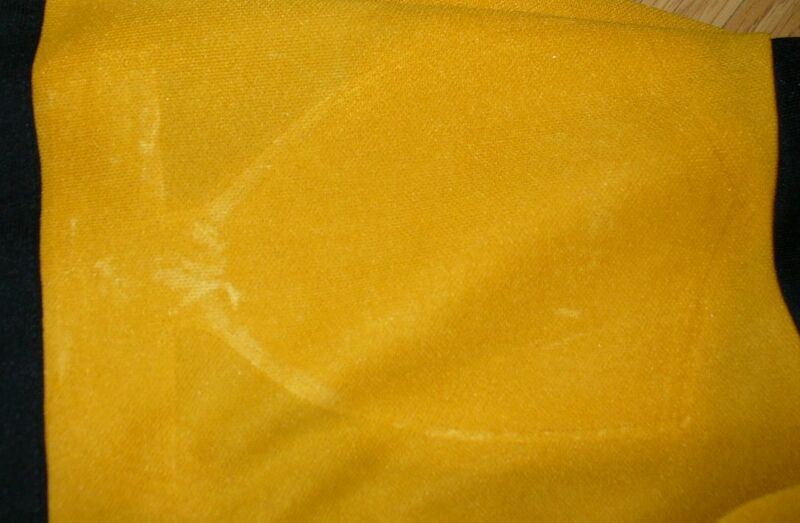 The jersey was missing the D's in Deutschland; I made some out of tackle twill and sewed them on. You can tell the D's are a bit different in the pic as they reflected more light from the camera flash. Also noticed an outline on the right sleeve where a patch previously was. Not sure what it looks like. Have never watched any of the Mighty Ducks movies. Saw some clips of the Flying V online but you can't make out fine details on the Germany jerseys in the ones I have seen. If anyone has a pic or link that you can see the right sleeve patch it would be appreciated. 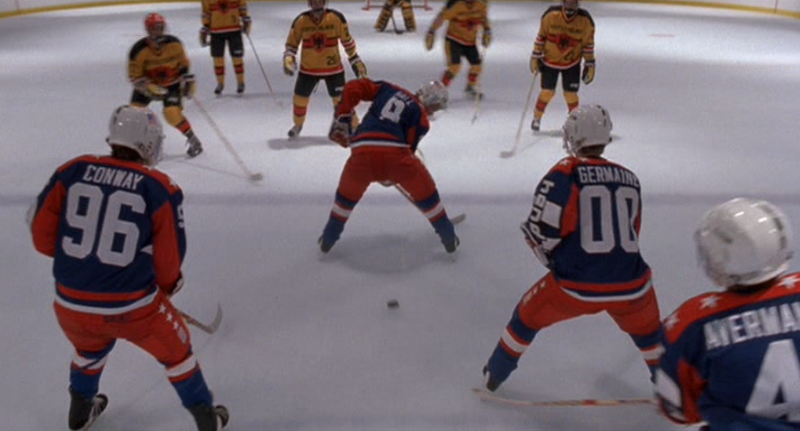 Here's a pic I downloaded of the Flying V scene. You can see #22 on the top right of the photo.